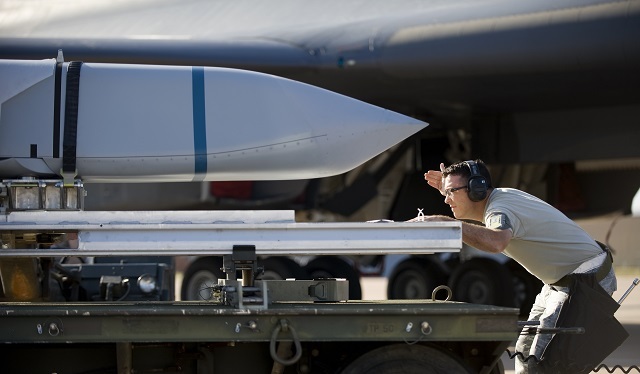 The 337th Test and Evaluation Squadron successfully completed their first captive carry test of a Long Range Anti-Ship Missile on-board a B-1 Bomber June 17, marking a significant step forward toward the B-1's role in the maritime environment. Designed and developed by the Defense Advanced Research Projects Agency and the Office of Naval Research, the LRASM is based off the Joint Air to Surface Standoff Missile Extended Range and was constructed as part of an effort to overcome challenges faced by current anti-ship missiles penetrating sophisticated enemy air defense systems. "This is a big stepping stone toward fielding an anti-surface warfare cruise missile," said Maj. Shane Garner, 337th TES. "However, at the end of this program, this particular missile is not going to be a fielded weapon; it's what we call a technology demonstrator. The point of this program isn't to field a missile, but to demonstrate the new technologies they want to put into an anti-surface warfare JASSM variant." 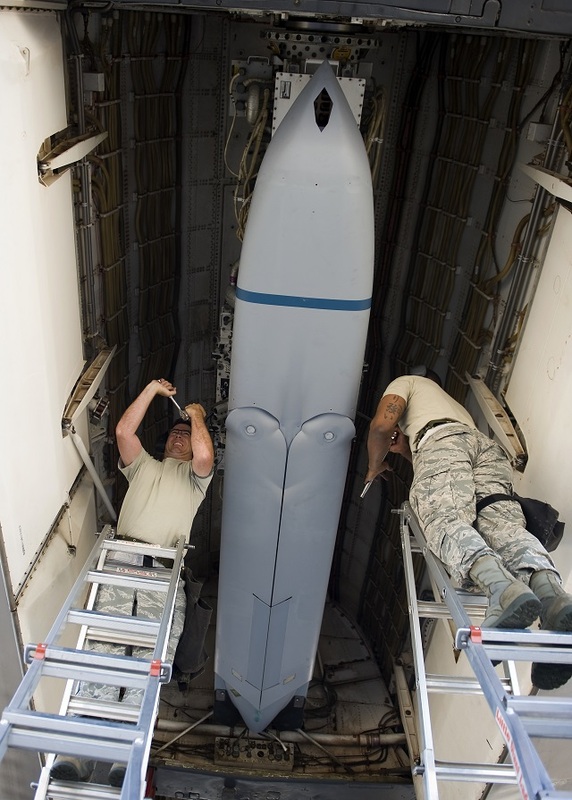 Because the LRASM leverages the state-of-the-art JASSM-ER airframe, it proved to be a seamless transition for the B-1 in terms of compatibility, significantly reducing the time and costs associated with traditional weapons testing. 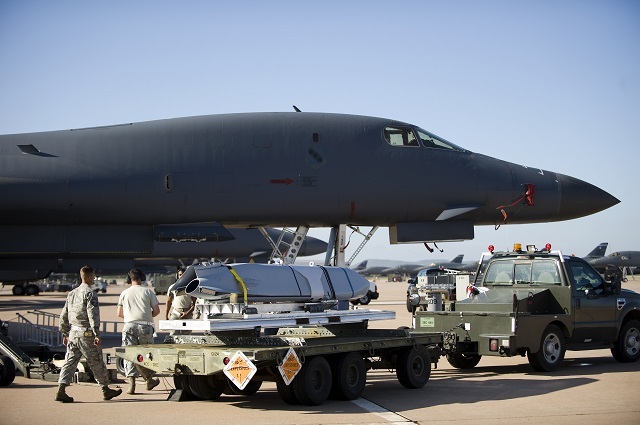 "When the B-1 looks at this missile it just reads it as a JASSM-ER," said Capt. Alicia Datzman, 337th TES. "In turn, DARPA was able to exploit that capability and simply add on the new technology to expedite the cost. Currently, JASSM officials are doing everything they can to take this missile's technology and move it into a program that would eventually become operational." However, while the LRASM does utilize the airframe of the JASSM-ER, it incorporates additional sensors and systems to achieve a stealthy and survivable subsonic cruise missile as well as a weapon data link and an enhanced digital anti-jam GPS to detect and destroy specific targets within a group of ships. "One of the biggest improvements of this weapon is its ability to receive target or coordinate updates in-flight," Garner said. "Unlike the JASSMs 'fire and forget' mentality, this new technology gives you the chance to 'fire and change your mind.' Because of the standoff feature these weapons possess, they tend to be in-flight for some time. For us to be able to change its coordinates on the fly provides us with a large range of flexibility." The overarching concept behind the B-1's rise in the maritime environment can be attributed to the Department of Defense's much discussed Air-Sea Battle concept, in which long range bombers serve as a key tenet. ASB is designed to guide the four branches of the armed forces as they work together to maintain a continued U.S. advantage against the global proliferation of advanced military technologies and anti-access/area denial capabilities. Furthermore, should the LRASM technology be fielded into a variant of the JASSM-ER, the B-1 presents itself as a premier platform to carry the weapon, as it is currently capable of carrying 24 of the long range missiles, tops across all Air Force platforms. The 337th TES is scheduled to complete its first live-fire test of the missile in the coming months.